I love their less-used name of ‘Whistle Pig’ 🤣 And yes, I’ve seen my neighborhood one in trees… Mostly running away from people walking their dogs. Whistle-Pig? That is a nickname I have not heard, though I must confess that I can count on one hand the number of times that I have encountered a groundhog. How much wood would a woodchuck chuck if a woodchuck could and would? I still don’t know the answer to that one! Perhaps he was determining how much wood he could chuck. I recommend returning and looking for evidence of chucked wood. Well I never. 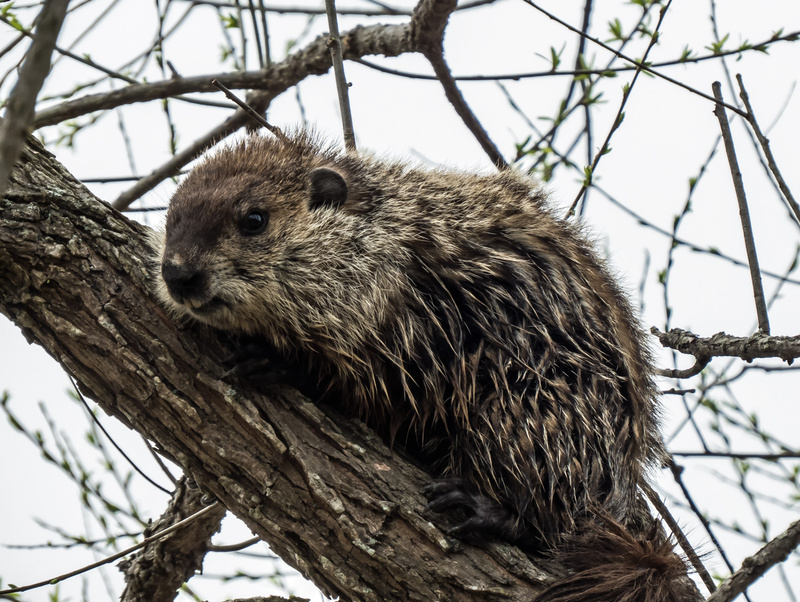 I see groundhogs all the time – several per day when the season is right – but I have never seen one in a tree before. I would not have imagined they would scale trees. You’ve educated me once again! I’ve seen them before, but never in a tree, Mike. Great capture. Thanks, Dan. I love the way that my adventures constantly surprise me and often wonder what animals might be doing when we aren’t around. Looks like a young one. Perhaps hiding from a hungry eagle! Never heard of such s thing! Great photo and info.